There are nearly 100 Gator Clubs® around the WORLD! 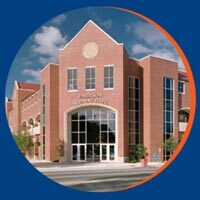 Membership in Gator Clubs® is open to ALL alumni, parents, friends & students of the University of Florida. Alumni Association members are automatically members of their local Gator Club®; there are no additional dues to pay! If you are not a member, join now! Gator Clubs® have similar goals, but each club is unique and strives to meet the needs of members in a particular area. Many clubs offer a wide range of programming that includes cultural, academic, athletic and recreational activities. Club Events - Each club offers unique events for Gators in their area. See what's coming up on the calendar of events. Young Alumni - Provides special programs to recent University of Florida graduates who are age 35 and younger. Outreach - Showcases UF speakers in your community for educational and professional seminars. Scholarships - Help provide scholarships for qualified students from your community. International Gator Day - Gators give back in their areas by participating in community service projects. Viewing Parties - Support University of Florida athletic teams with your cheers at these local social events. Gator Gatherings - Meet and hear the latest news from UF coaches and administrators as they travel through your area. Florida Forward - This event brings together Club leaders from across the country for a weekend of learning, networking and fun.